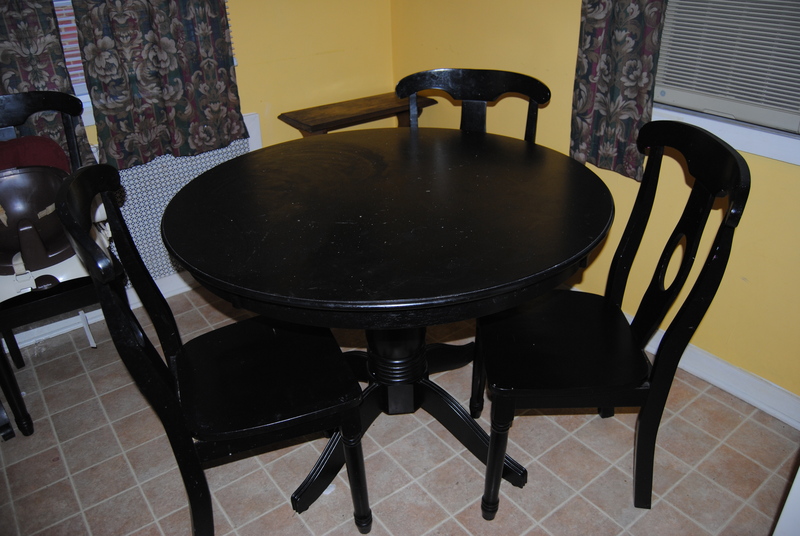 A Much Needed Kitchen Table Makeover: “On The Upcycle” Style. Our furniture sees it’s share of abuse in our home. It would be easy to “blame it on the two-year old”, but the biggest offender in this household is me. Before I began reorganizing what is now my crafting space, I had one place to craft on and that place was the kitchen table. As much as I tried to be careful, with every new idea and craft came new damage to the table surface. I had to use a table cloth to cover the damage. My husband and I originally purchased this set from Walmart before my daughter was born. After years of living with some of the worst off the scrap heap kitchen tables. The hubby and I decided we needed a more respectable table. A table where a family could sit, eat and enjoy each other’s company, and not have to worry about the table collapsing while doing it! 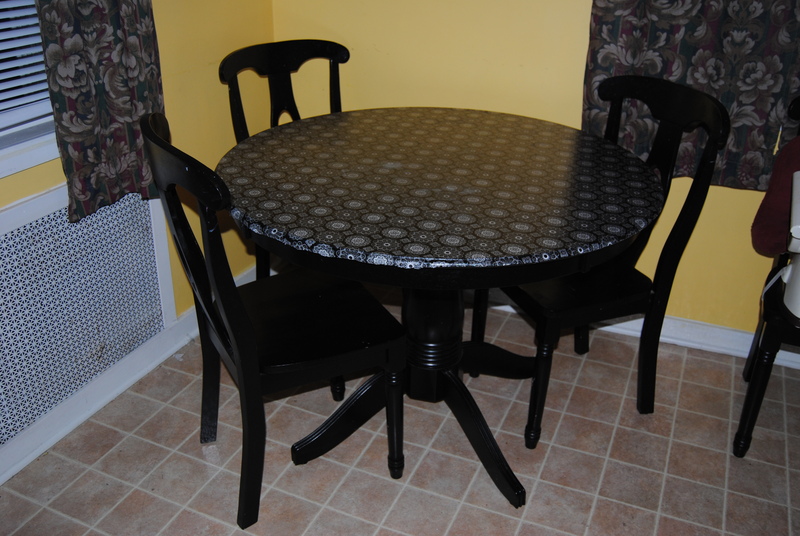 We chose The Wood Casual Pedestal Dining Table in Black Finish sold by Walmart. 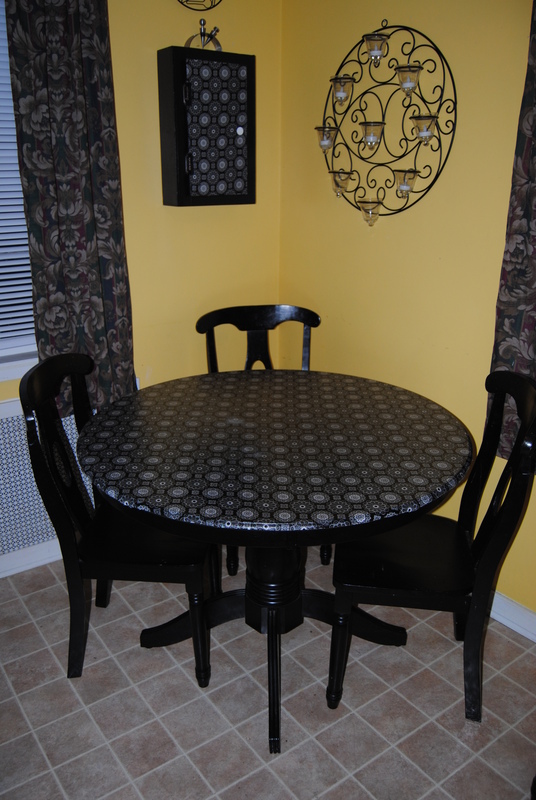 We liked the basic style and the table is very sturdy. 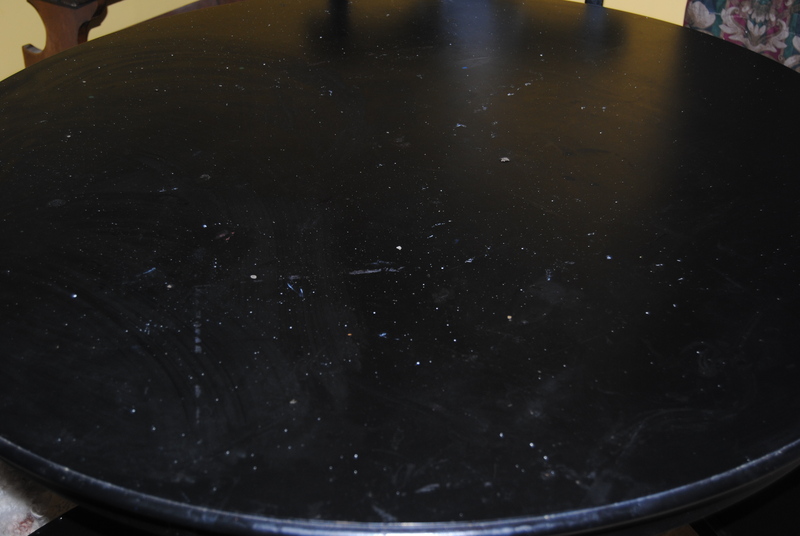 The table is about 3 years-old and the table itself is still in great shape. I wish I could say the same for the table’s surface. My fault totally! I had been putting off fixing it for quite sometime. I was going to need a lot of Mod Podge and a clear sealer for this project! This table would need protection against heavy use. First, I cleaned the table surface. 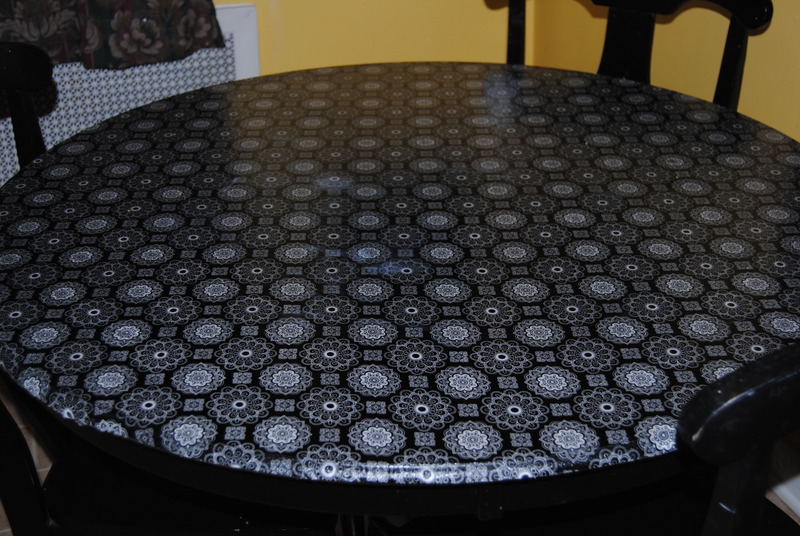 I then covered the table surface generously with Mod Podge. 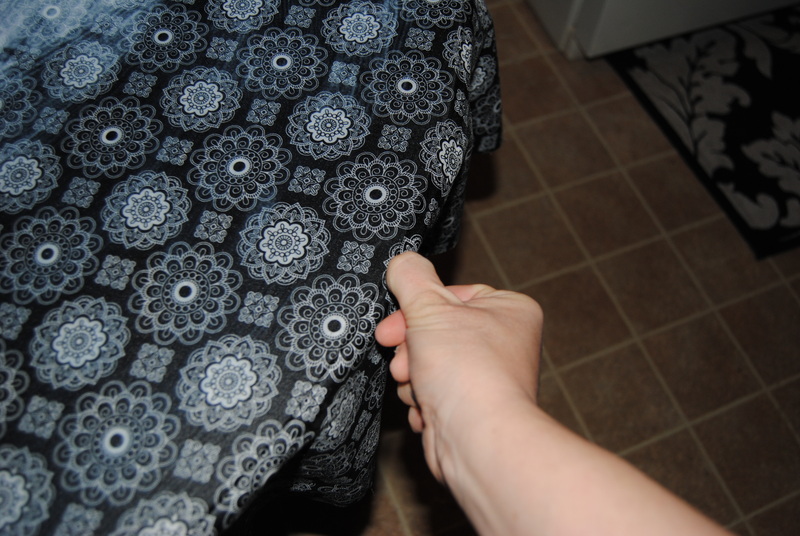 I carefully, laid the fabric on the table surface allowing some fabric to drape over the sides. 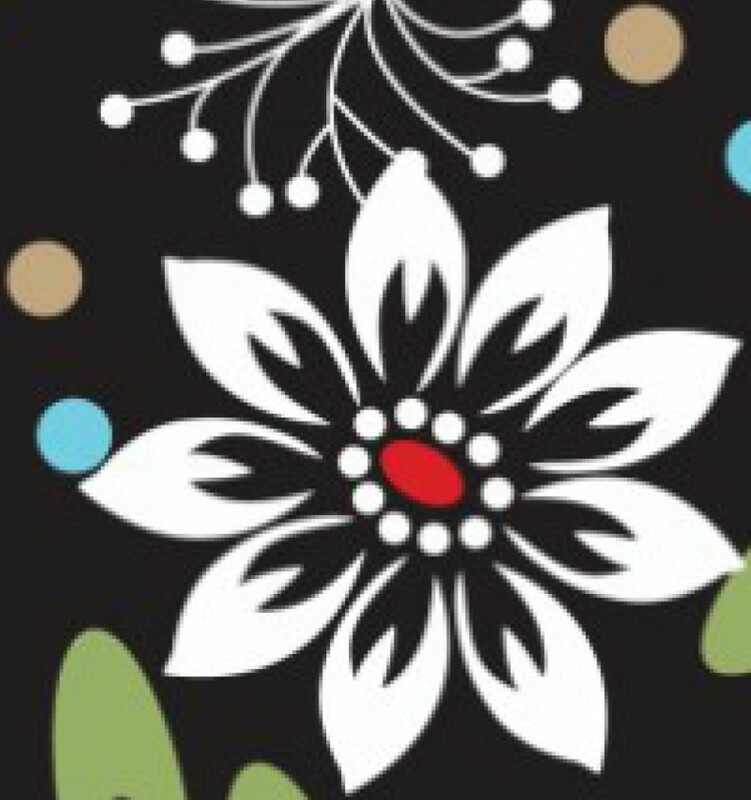 You can use the Mod Podge roller tool, but now that I have been doing this for a bit, I actually prefer using my hands. I used my nail to feed the fabric into the table groove for a tight fit. I applied a layer of Mod Podge over the top of the fabric, and on the sides. I allowed this to dry throughly. I then used a pair of scissors, trimming off any additional fabric. It matches Flea Market Bar Cabinet nicely and looks great in our yellow kitchen, I was worried about the surface drying tacky, but it dried nicely. If you want a smoother surface apply as many coats of the Polyurethane as needed until the desired effect is achieved. Since the table is shiny, I struggled to get a photo without any reflection in it! Ruining the kitchen table never looked so good! No table cloth needed! Wow . . . so pretty!!! You did a great job! 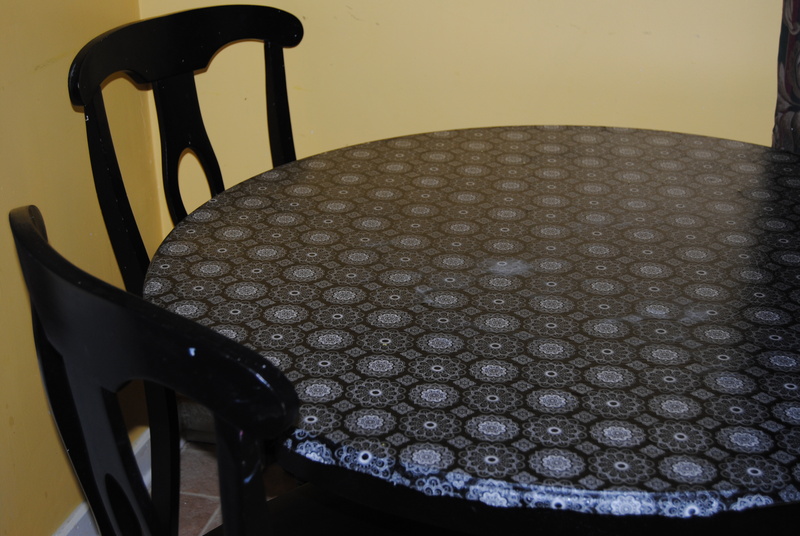 Plus you can still use a table cloth if you want a different look. that looks really nice, I love how it came out. My tables had better brace themselves…. Thank you! I really abused this poor table! Well, it looks lovely now! Beautiful! I was wondering how it has held up? Thanks for sharing! It has held up extremely well, and is easy to clean! Thank you so much! and thanks for stopping by to say hello! So you just trimmed the fabric flush with the edge of the table or did you tuck any under? trimmed it flush. Left a little hanging over the edges and applied Mod Podge once it was dry and the fabric stiffened I used a box cutter knife followed along the edge to cut than applied more Mod Podge to seal the edges. What happens, if liquid spills on it? 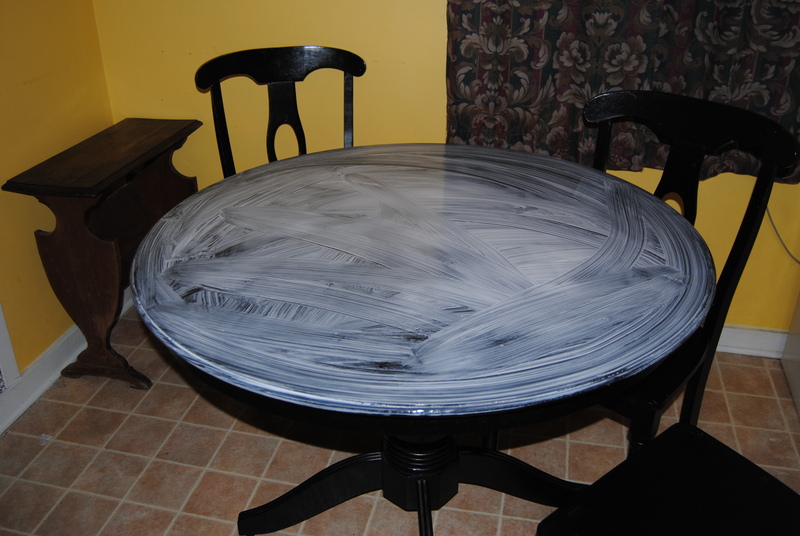 It has held up great, on this table I used Mod Podge and a clear poly sealer since it would be exposed to more moisture then usual worked like a charm. Thanks for stopping by!